Here are some classic oyster recipes and maybe some new ones to try as well. Share them with friends and let us know what you think. 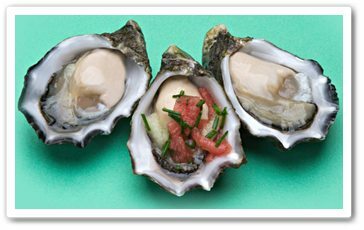 Please email us your favourite ways to eat oysters and if we like them, they’ll be published here. Here is one of my favorite oyster recipes. 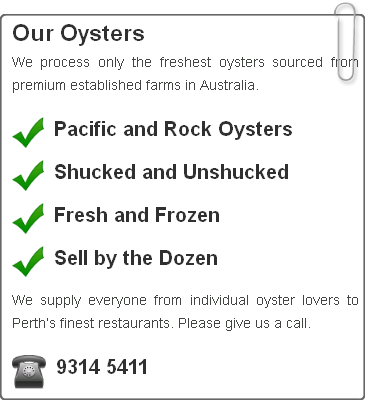 I do think they are best when shucked just before eating, with a little lemon or lime. Here at Clarences, we serve them with a ponzu dressing, a soy sauce and citrus baced sauce. It’s good with a little chilli but not too much. Combine all ingredients together and heat gently to dissolve the sugar. Cool before serving. Any left over sauce can be kept in the fridge for next time. This is a very simple and tasty dipping sauce that will add a zing to your oysters. Serve the dipping sauce on a platter with your oysters or serve in smaller individual sauce bowls if seated. Want to try something different? Oyster shots will definitely be a hit at any party. They are quick to make but as always please take care when consuming any alcohol. Best to play around with the amounts of the ingredients shown above to suit your taste. Mix all ingredients together (except for long shallots). Gently steam oysters for 3 minutes and place in serving bowl. Pour sauce over the steamed oysters and garnish with long shallots.